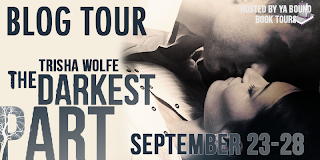 Welcome to my stop on The Darkest Part blog tour hosted by YA Bound Book Tours. 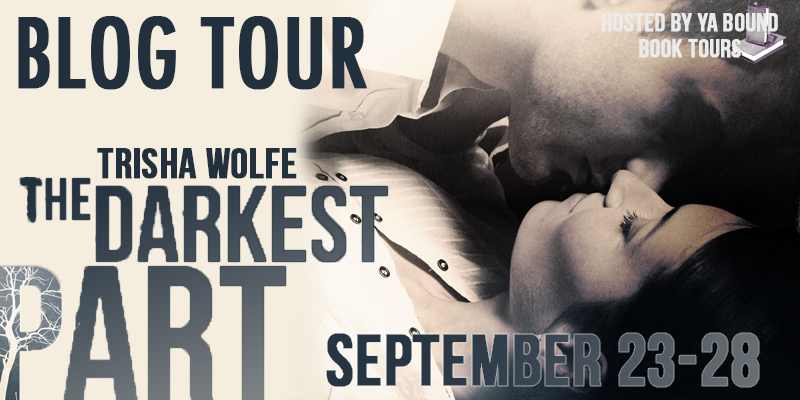 Click HERE to see the full blog tour schedule. We are spotlighting this novel, sharing our review, and there is a tour-wide giveaway to enter. Heartbreak. Secrets. Road trip. 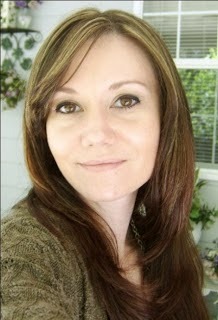 Tricia Wolfe has written a contemporary New Adult novel I simply could not put down. The Darkest Part could have easily become a mess under someone else's hands but in the hands of Tricia Wolfe, the reader discovers how capable she is. What a storyteller. What a story. Sam was engaged to Tyler. How more perfect could this couple be? Friends since they were kids, dating throughout high school. The word soulmates comes to mind. Until Tyler is ripped from her all because of a hit-and-run accident. Then Sam begins seeing her dead boyfriend. Is she losing it or is Tyler not leaving for a reason? Talk about tugging on heartstrings! The author nearly yanked mine off with these scenes. For a deceased character, I really felt for Tyler (and Sam). When his friend Holden enters the story I knew things would get interesting. Oh yeah, they did. There's a secret between Tyler and his brother, Holden. There are also some feelings Holden has for Sam and part of the reason why he left town. But a promise to his brother brings him back, face-to-face with the girl he loves and his brother's ashes. What should he do? A promise is a promise. The heart can love strongly. A road trip joins people together in ways they can't imagine. The Darkest Part is such a cool journey to embark on. The feelings, the angst, even the sadness, all combined into one satisfying read. I will admit some New Adult titles haven't been doing it for me--some will start off well but then not last. I didn't have this problem with this story. What I do need to mention are two things which made my eyebrows raise. The first is Sam and Holden. Sam is so in love with Tyler, grieves for him, and then gets together with Holden. Their scenes register high on the steamy radar and they are romantic. I know these two dated years before but that short amount of time didn't register as anything near palpable as to what Sam and Tyler had. Grief does bring people together in unimaginable ways and maybe Holden was the true one for her. I also thought the ending came too quickly and sections seemed more like telling. These are the reasons why I had to rate this four butterflies instead of five. I did feel invested with the characters and liked the story. The dialogue was good, the situations believable, and the story line unique. I really liked and enjoyed Trisha Wolfe's writing. Giving us both character's POV made me like them even more. The Darkest Part deals with the secrets of the past, the turmoil of the present, and the possibilities of the future. If New Adult is your favorite market, definitely check this book out. I like the cover but after reading the story I would have preferred something a little bit different. A lot of the NA covers are blending together they look so similar. Love the review and I have to read this book! It sounds really really good :) I haven't read any New Adult books yet and this book sounds perfect to start this new genre.